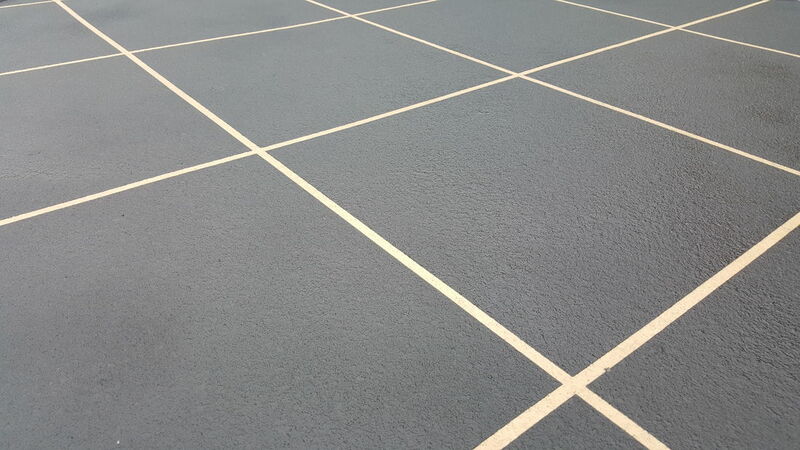 Spray on Concrete Resurfacing is a process using a Polymer cement coating that has been specifically designed and formulated to be applied to any concrete or asphalt surface, both new or old, to create a very hard wearing decorative finish. 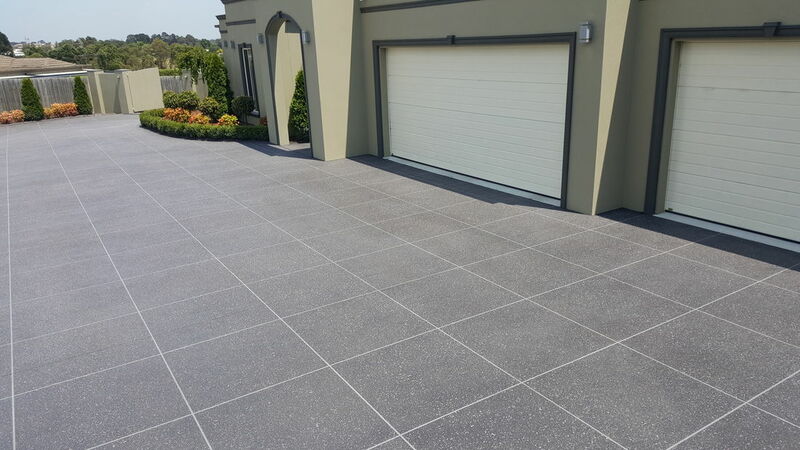 Our spray on coatings bond rigidly to existing suitable concrete surfaces, creating a natural, textured and decorative surface for a wide variety of areas including driveways, carparks, courtyards, paths etc..
Spray on Concrete Resurfacing will not only save you money and time on complete replacement, but will add enormous impact, appeal and value to your property. We offer a 10 Year Warranty on our wide range of spray on stencil patterns, custom designs and exposed agg finishes to achieve the desired look. 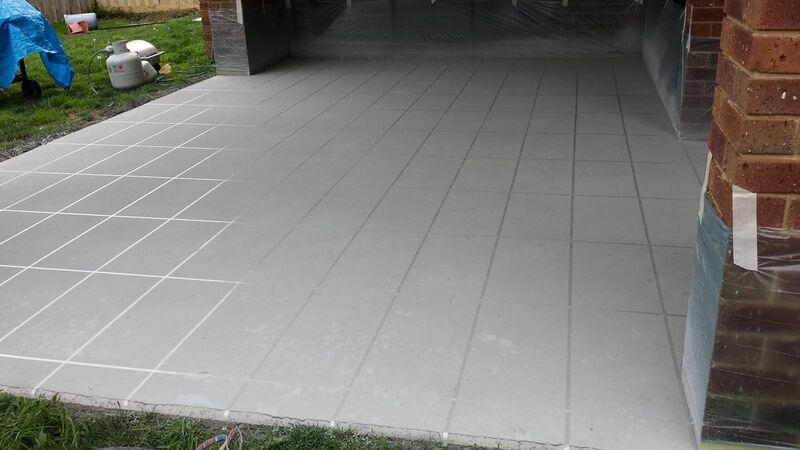 These applications provide an easy and affordable restoration alternative rather than the expensive option of concrete or asphalt replacement. 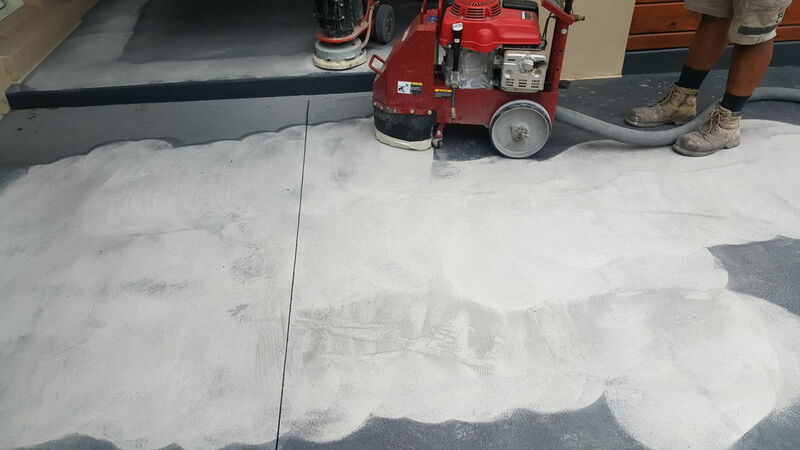 Our spray on concrete paving, resurfacing products achieve a very high compressive strength of 45mpa, x2 times stronger than standard concrete, with excellent abrasive and anti slip resistant properties. Spray on Concrete Resurfacing is a low cost restoration option to the replacement of existing concrete or asphalt. 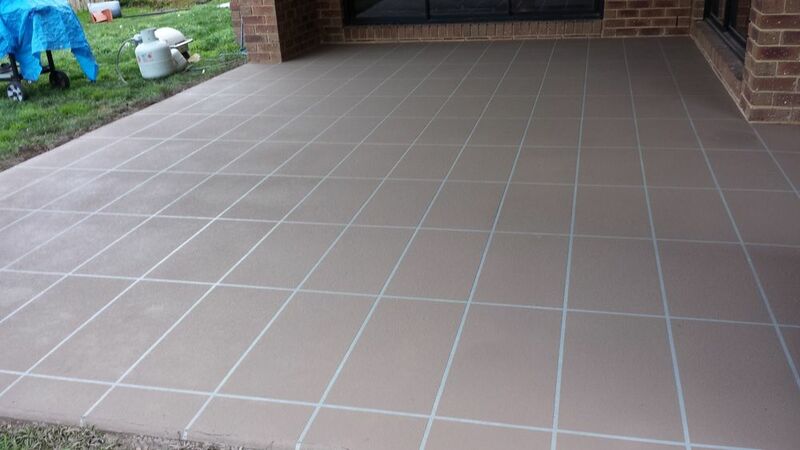 Our team of contractors prepare the existing concrete or asphalt surface by removing any existing coatings like paint if necessary, then high pressure washing and repairing any defects. 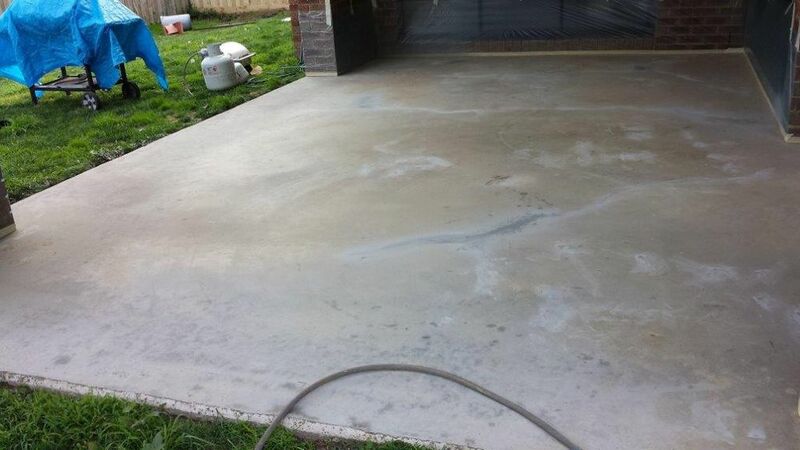 If you require, our team can also pour new concrete slabs and extensions if necessary. Then allow new concrete to cure for up to 28 days before resurfacing. 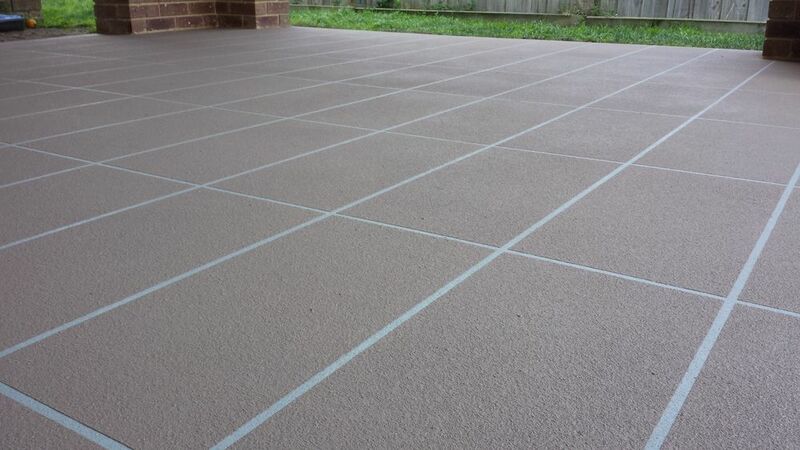 Stencil Paving Patterns : Spray a base coat usually in grey colour, lay chosen pre cut stencil or hand mask pattern. Spray two top coats of coloured concrete, remove stencil and masking then a specially suited solvent based sealer is applied. 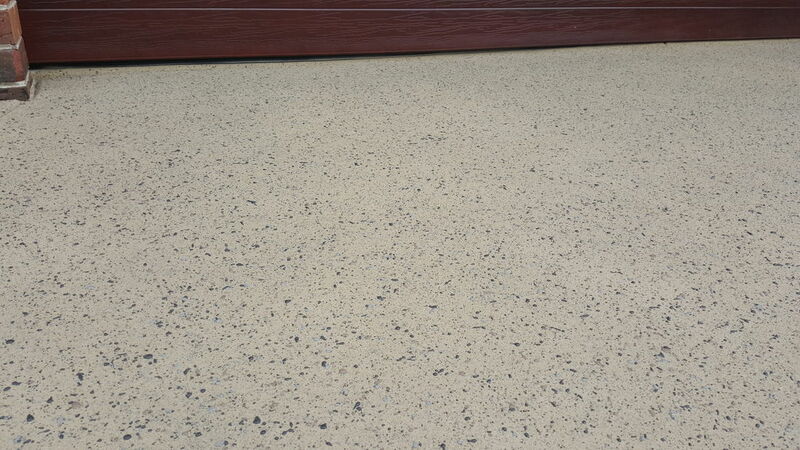 Exposed Aggregate Finish : Spray two base coats of the chosen coloured concrete, then fleck numerous concrete colours, generally up to 3 to imitate an exposed aggregate pebble look, remove masking then a specially suited solvent based sealer is applied. Custom Decorative Designs : Design chosen will depict application process.